Students! Does leafing through your course textbooks make your feel ill? 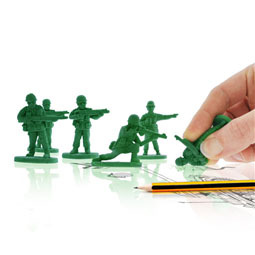 Does the interminable jargon and jibber-jabber get you a little green around the gills? Well, all you need is a vitamin pill! 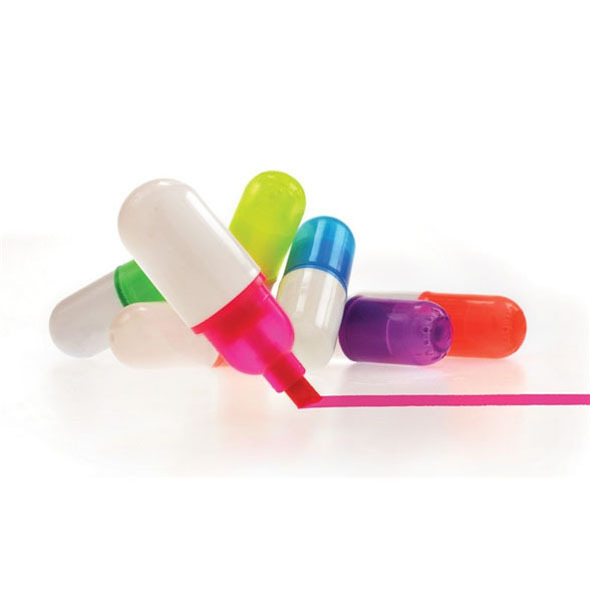 Teachers and professors have long extolled the virtues of highlighter pens (especially when you need to get to the meat of a long chunk of text), and these particular highlighters are the perfect antidote to your essay woes! You get 10 highlighters in a pot of Vitapens, and that should be more than enough to help you organise your reading material into something more manageable. 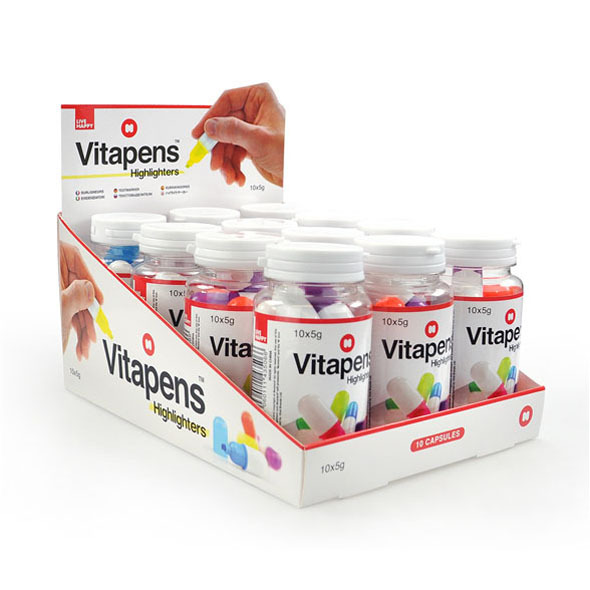 The assortment of tablet-shaped highlighter pens will let you colour-code your work with ease, so whether you're trying to remember the key facts from your textbook or making your own essays a little more readable, Vitapens are the answer. 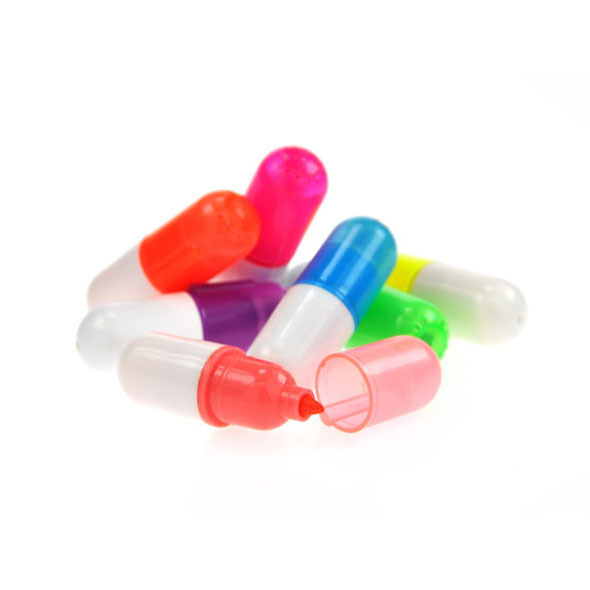 They look just like giant medicine capsules when the lid is on, and they're small enough to fit a few in your pencil case. 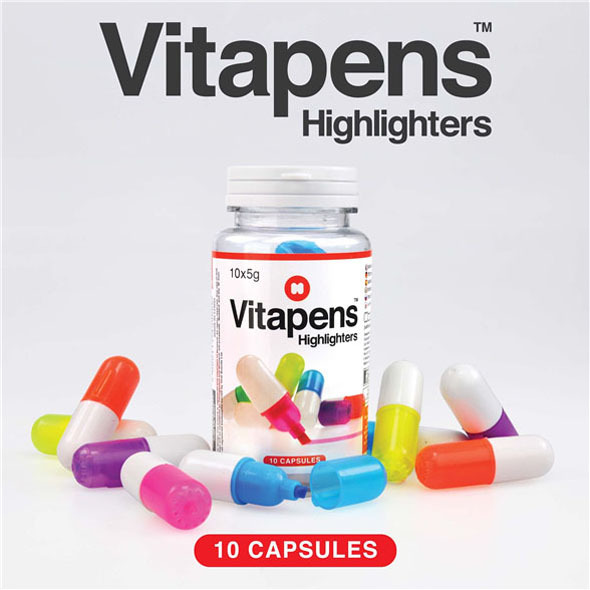 Brightly-coloured and very appealing in their design, the Vitapen highlighters are a must-have for any student.